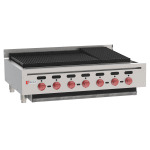 The Wolf ACB36 charbroiler is ideal for grilling burgers, chicken, vegetables, and more. This unit uses natural gas heating and has six burners under the broiler grates. Burners can cook different types of product at the same time as each burner has its own infinite heat control valve. Dividers prevent one burner’s heat from transferring to another section and overcooking product. 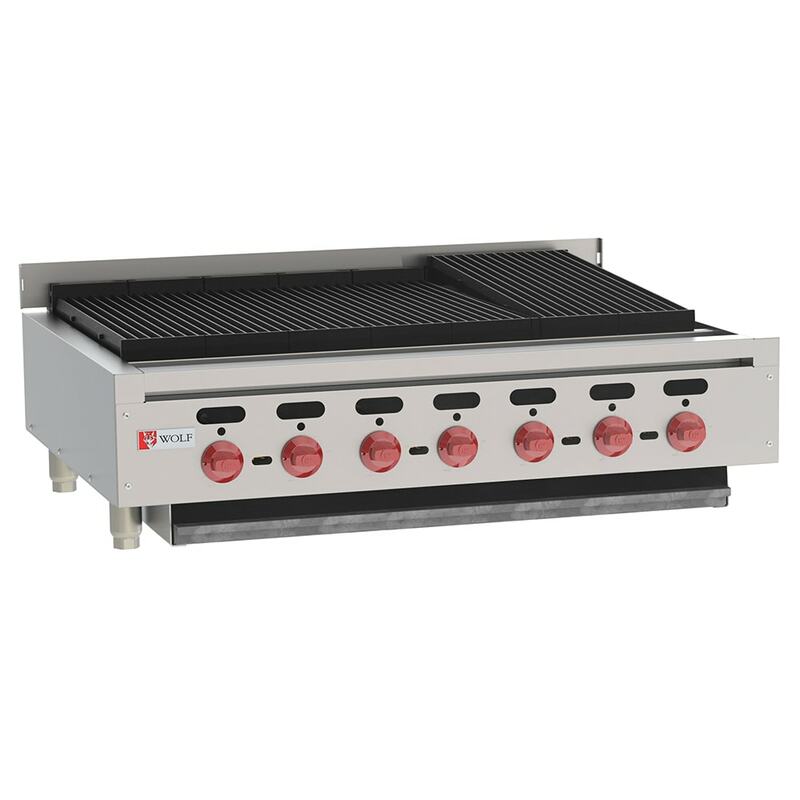 The Wolf ACB36 charbroiler comes with heavy-duty cast iron diamond grates and a heat deflector tray system that pushes heat out of the grease drawer and towards the grates. The all-welded chassis and stainless steel construction provide the unit with structure. A drip tray collects debris to facilitate cleanup, and 4-inch legs lift the unit off the countertop and can be adjusted on uneven surfaces. Not sure what you're looking for in a charbroiler? Check out our charbroiler buyers' guide for various options and features so you can make an informed decision.